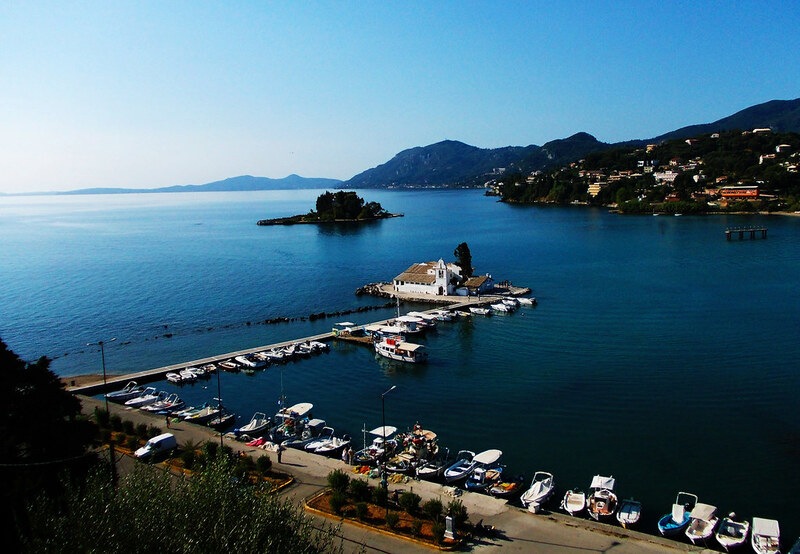 The island of Corfu in the Ionian Sea is a perfect mixture of cultural and natural beauties. 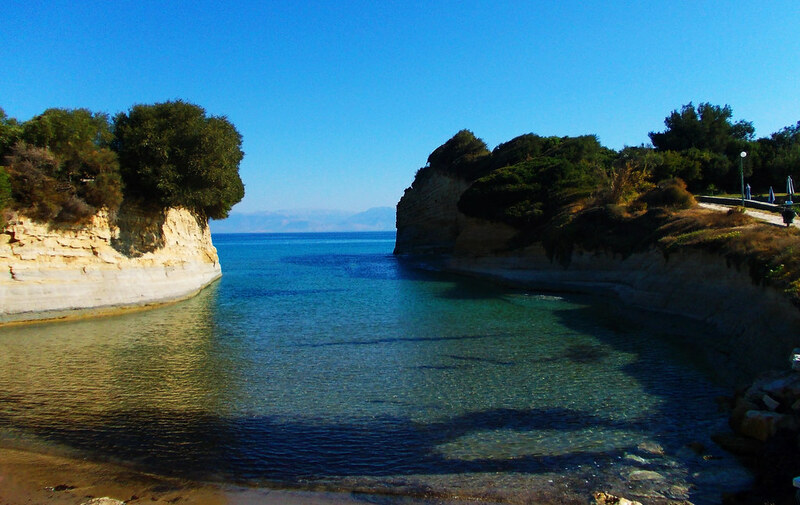 Corfu is sometimes referred as ‘the Island of Love’ because of the myth that Poseidon, god of the sea, fell in love with a nymph, Korkyra and named the island after her. 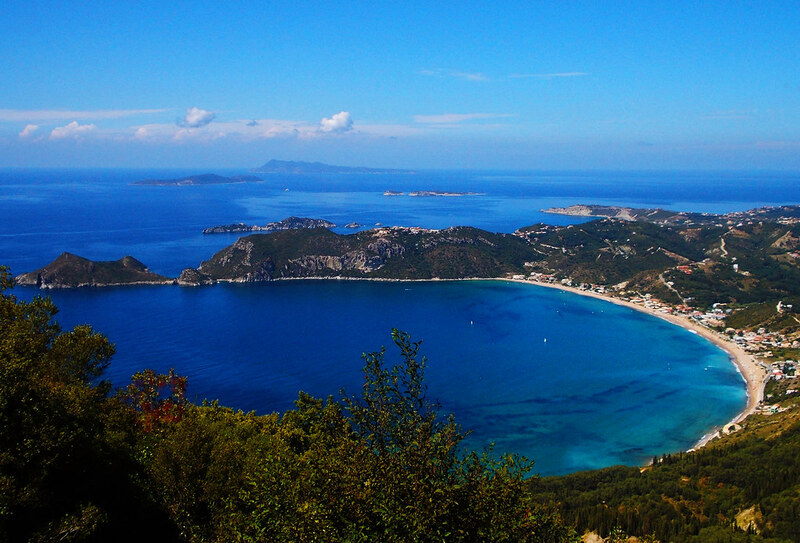 The Greek name of the island is Kerkyra by the way. 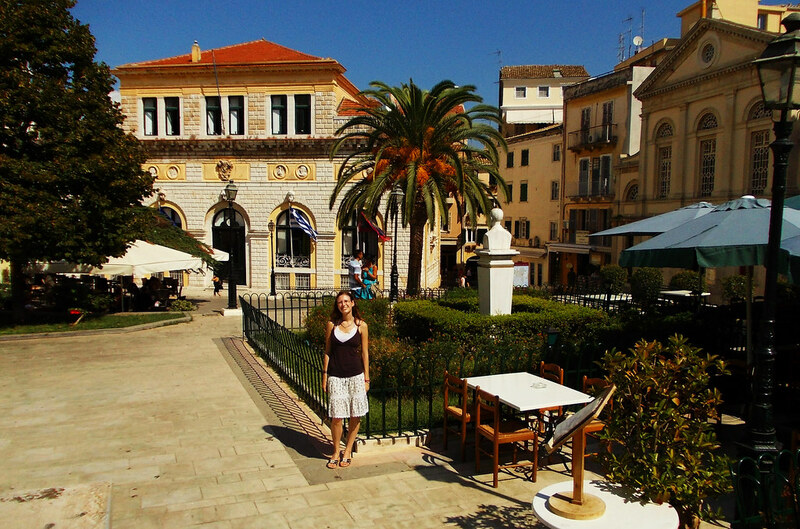 The main city on the island is Corfu and it’s an absolute must-see. Its old quarter is part of the UNESCO World Heritage List and it’s really impressive with its narrow streets, colorful buildings, churches and old castles. Both the old and the new castle are fortifications built to protect the town and they almost completely enclose it. They offer astonishing views of the whole town, the harbor and the sea. 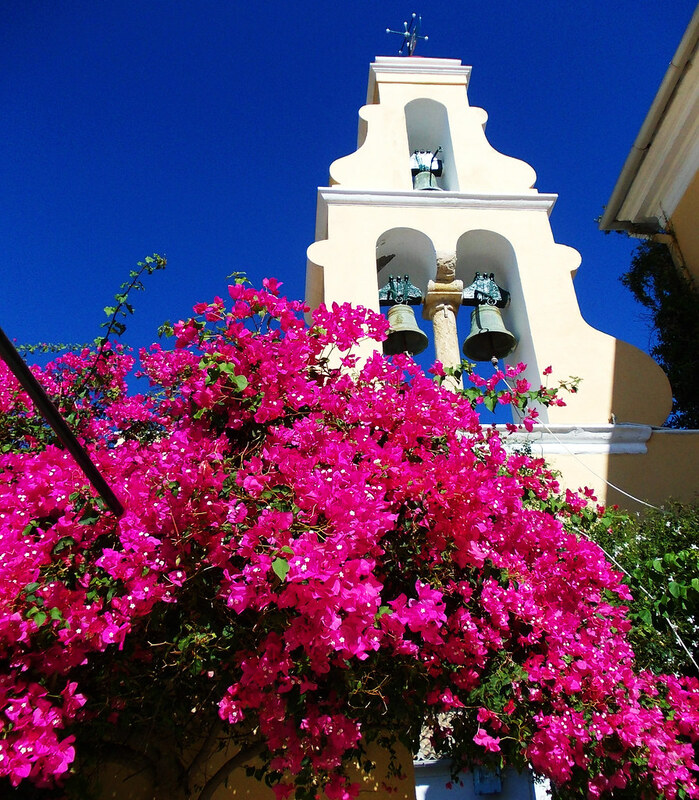 The incredibly white postcard perfect Vlacherna Monastery is one of the icons of Corfu. You can even see its small chapel from the inside if curious. 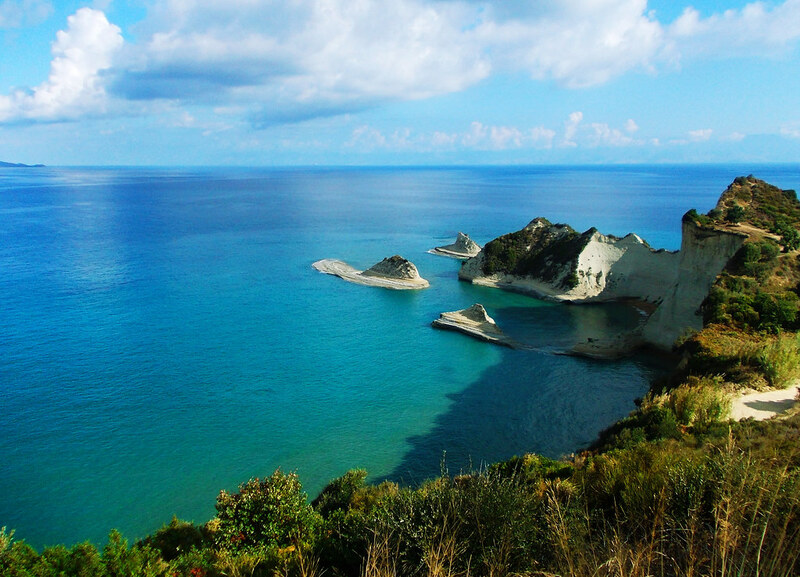 There’s very few beaches in the city and even those are not very special, but views of the Ionian Sea are amazing! 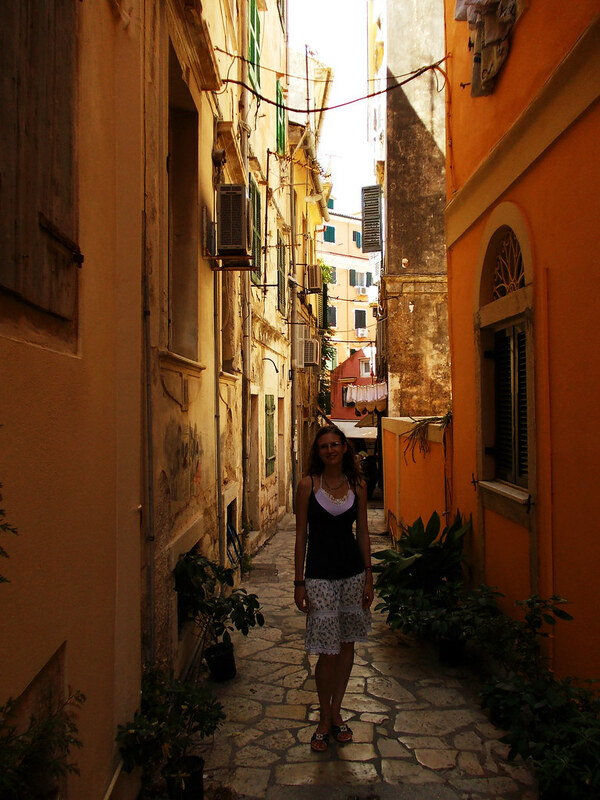 During our 7 days of stay in Corfu we planned to visit Corfu town only for a day, but we loved this lively, colorful place so much that we stopped for another half day visit on our way to Achilleion. Achilleion was built as the summer palace of Empress of Austria Sissi (Elisabeth) of Bavaria and it is a museum open to the public nowadays. Its central theme is Achilles, the Greek mythical hero and it’s full of statues and paintings of Achilles and the Trojan War and other neoclassical Greek statues. 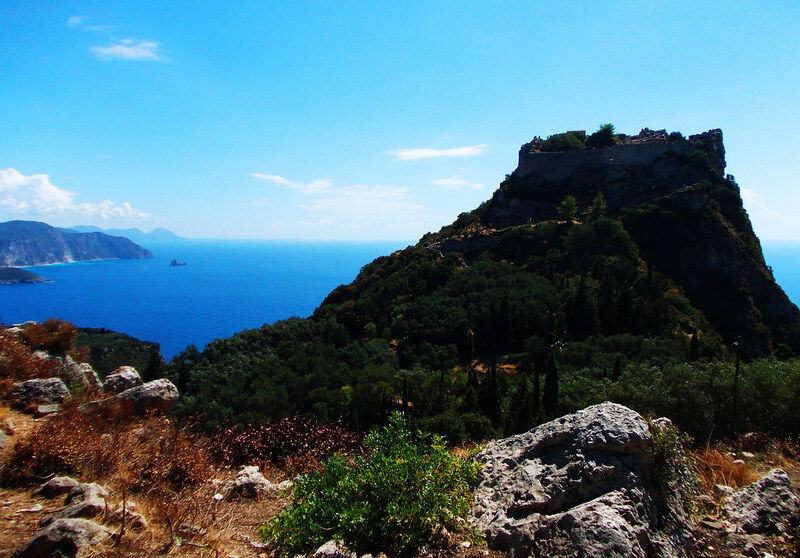 The gardens look over the Ionian Sea and the surrounding green hills and valleys. 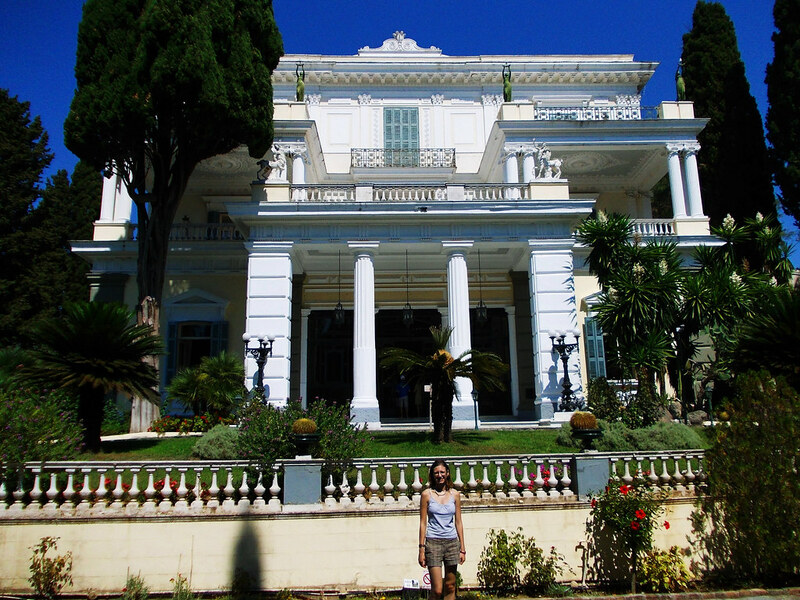 Both the palace and the gardens have such a strong Mediterranean atmosphere which surely made it a perfect summer escape for Empress Sissi and an unforgettably charming place for us to walk around. We chose our place of stay mostly based on the pictures we’ve seen – which we now know could lead to disappointment especially if you expect everything to be as on the pictures. But that time we were lucky with our choice. Sidari turned out to be the best place for a beach holiday, because it really has the most beautiful beaches on the whole island. Though the main beach itself if not very special, it’s just a wide, sandy beach with shallow water, but if you venture further, you can enjoy the beauty of the hidden and not so hidden, but still awesome bays. Clear turquoise Canal d’Amour, a bay with a water tunnel or another with small islandlike cliffs close to the shore where you can sunbath alone in the middle of the water – we couldn’t decide which of these bays is our favorite. 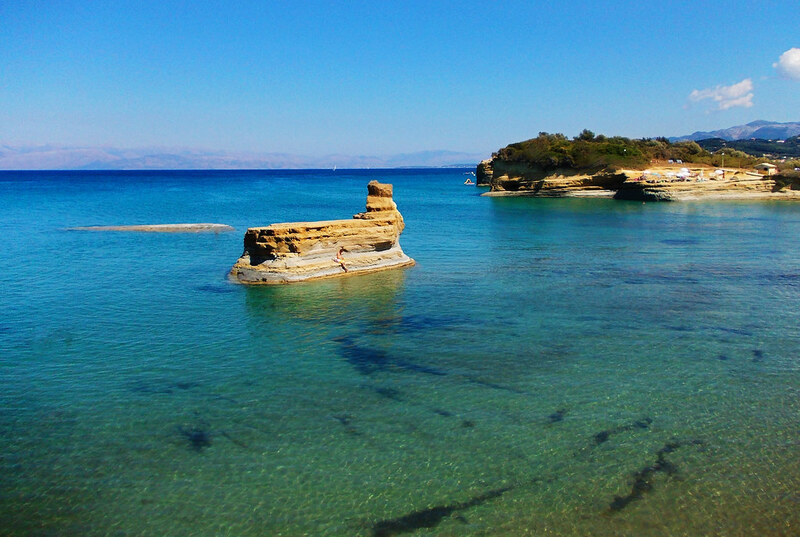 Clearly we found these beaches the best even after venturing to other parts of Corfu by car. The only thing which could be better is to explore the hidden gems accessible only by boat at the west coastline. 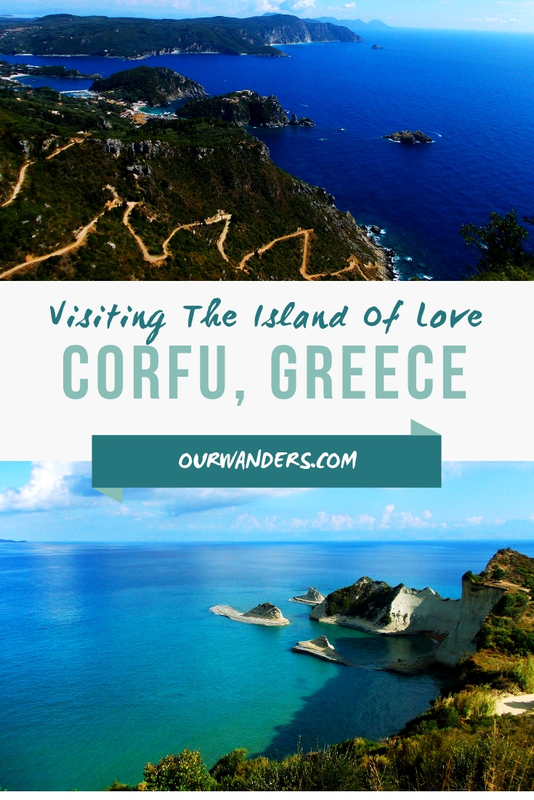 Our best memory of Corfu is our road trip along its west coast. It was only 1 day, but it gave us tons of memories lasting forever. With that said, driving is more challenging on the west coast than on the east coast as the roads are very narrow and lead through a mountain terrain with a lot of hairpin turns. But it’s definitely worth the time and effort to get to the west coast places! 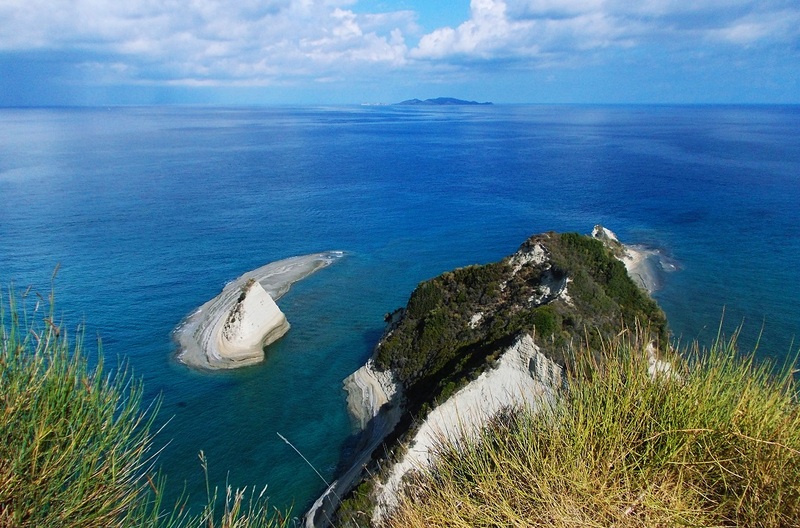 We started it from Sidari and our first stop was Cape Drastis with wild views of the coastline and the open sea. We also climbed down to the coast and swam in the magically blue water. 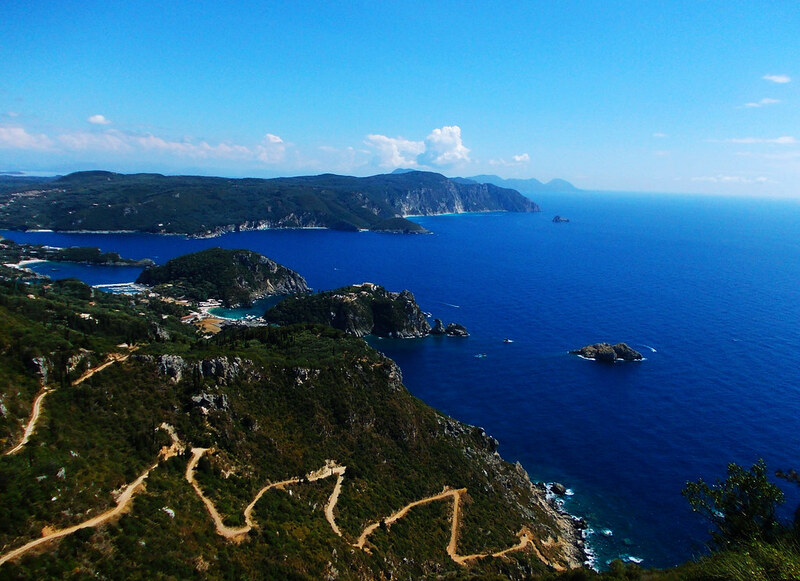 Then came Angelokastro… The ruins of this old castle on a hilltop is dramatic itself, but we were rewarded with the most stunning panorama of the coastline when we climbed to the top. Our final stop on that day was Paleokastritsa with its famous lovely monastery and some nice hidden beaches – a lot of them only accessible by boat. 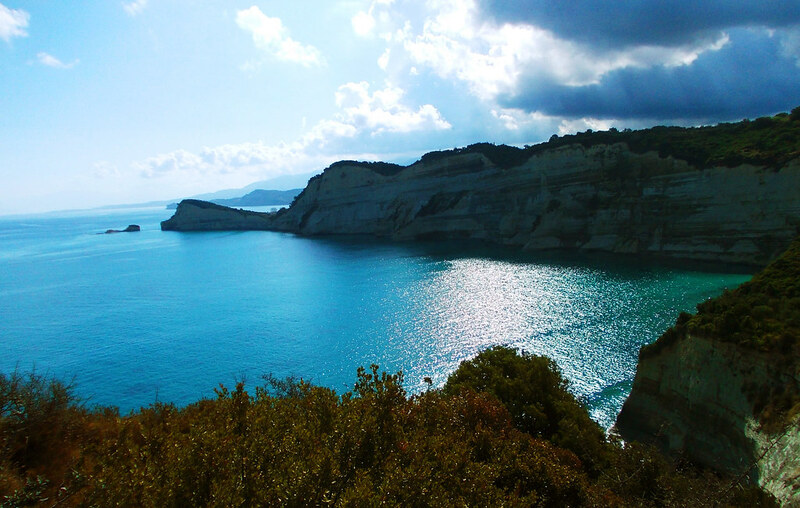 We’ve just been late for the sunset at Cape Drastis on our way back to Sidari, but it was our best day nevertheless. Anytime during the summer is perfect to enjoy this amazing island, but the beginning of September was even better for us. By that time it’s not so crowded, but the weather is still hot and sunny. 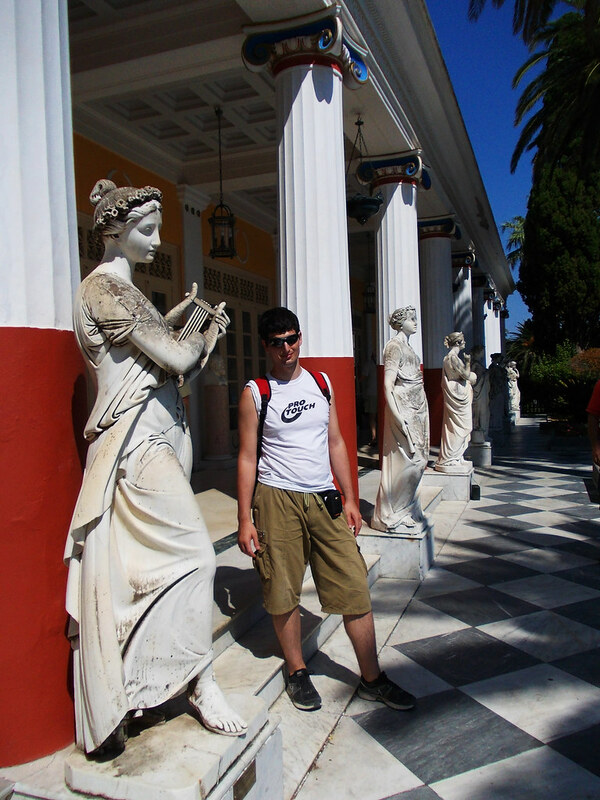 Have you ever been to Greece? Is it on your bucket list? Indeed, Sidari has the best beaches. Besides, I’ve found out that clouds tend to gather around Pantokrator, so the towns and villages nearby don’t enjoy as much sunshine as the ones in the north of the island. Definitely miss the sunshine around this time of the year 😀 Thanks for your visit, Violeta. 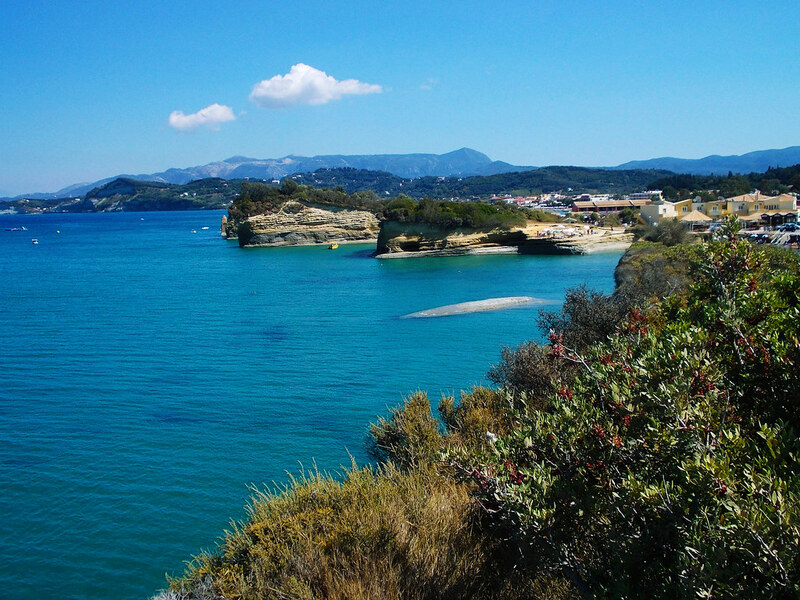 Corfu, Greece looks really great. I can imagine my family being there real soon. Thanks for the guidance and tips. Great photos also.